Enjoy a phone system upgrade without the cost or hassle associated with an on-premise PBX. Our Cloud PBX gives you a flexible way to control capital expenses, expand calling capacity and empower users. Traditionally deploying a call center across multiple sites and geographies required long lead times, additional specialized infrastructure, and a dedicated IT staff. 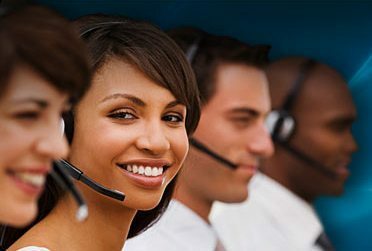 Through our innovative call center software we make it fast and easy to deploy a virtual call center solution – agents simply need a phone or computer, an Internet conne ction, and a web browser to get started. Most businesses realize that maintaining all of their technology on-site has outlived its usefulness. Change is necessary but decision makers are so consumed with fighting daily fires they don’t have the time or resources to determine a long-term solution. Minnesota Telephone Networks can help you re-imagine IT using our hosted solutions as the foundation. We offer web, virtual and dedicated servers hosted in a secure data center. Built completely on the latest Microsoft Server and hypervisor technology, we use the Windows operating system you already know so the transition is easy. You don’t have to learn a new skill set to manage our hosted servers. If you need help transitioning to the cloud, we have you covered with remote migration service. Our technical experts can move your applications and data and connect you to the cloud server.